With its enchanting illustrations of Australian animals, it makes sense that Millions of Monkeys puzzles are designed in New South Wales’ Blue Mountains, a magical place that teems with wildlife. 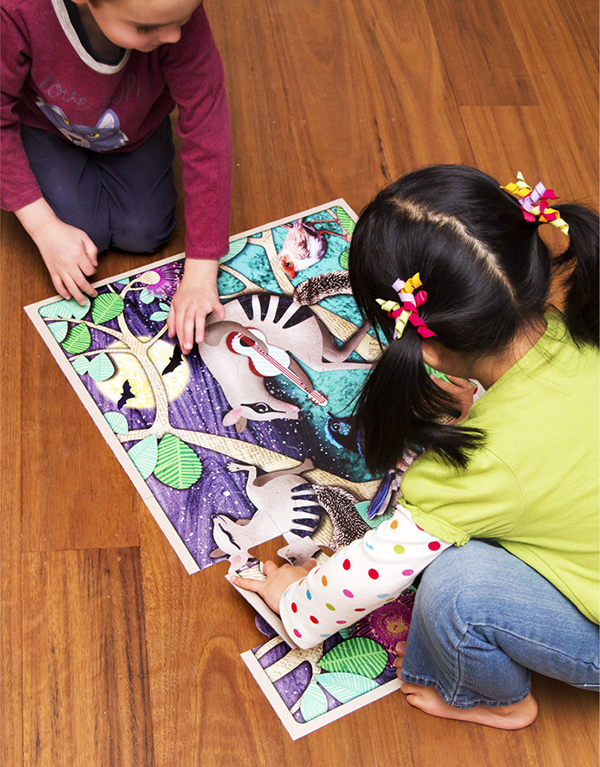 Colourful with a mixed media aesthetic, Millions of Monkeys floor puzzles ($29.95) are made of sturdy, large pieces that make it easy for kids to construct the beautiful scenes on the puzzle boxes. When her two-year-old fell in love with puzzles, textile designer and artist Eloise Short wanted something gender neutral, beautifully illustrated that celebrated the uniqueness of Australia. Finding nothing, she created Millions of Monkeys puzzles. The puzzles explore a magical world of Australian animals that’s the stuff of strange wonderland. Fuzzy quolls fly through the air in bicycle-powered hot air balloons. Wombats serenade birds in the treetops at twilight. Snails and ladybirds celebrate birthdays in toadstool villages. 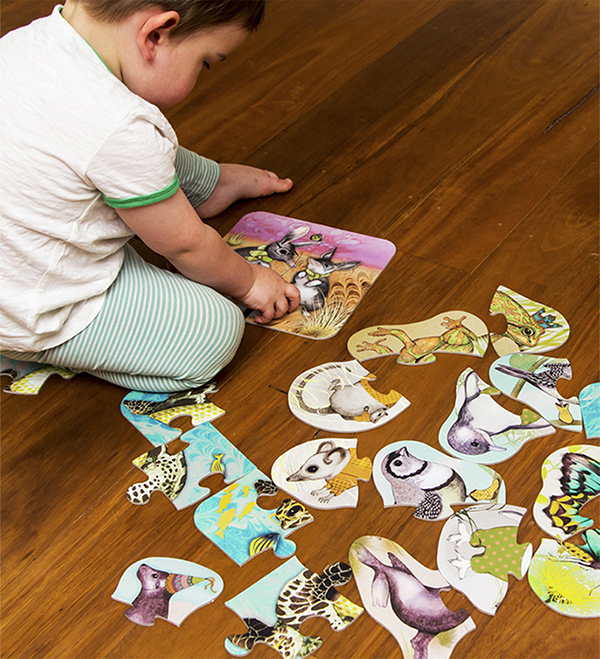 Extra large floor puzzles are for kids aged three to seven, and the Puzzle Grow Pack ($24.95) collection of two, four and six piece puzzles are perfect for the developing minds and chubby hands of toddlers aged 18 months and older. Millions of Monkeys is available online and ships for $8 in Australia.